Rihanna has your summer glow covered, thanks to her latest Fenty Beauty launch. The multitalented superstar took to Instagram to announce that her makeup label’s ‘Body Lava’ is making a comeback in a new limited-edition shade, dubbed ‘Trophy Wife,’ alongside the original hues ‘Who Needs Clothes? !’ and ‘Brown Sugar.’ The trio drops Thursday, March 21. As usual, Riri proved to be the best advertisement for her products, stepping in front of the camera to model the new body luminisers. 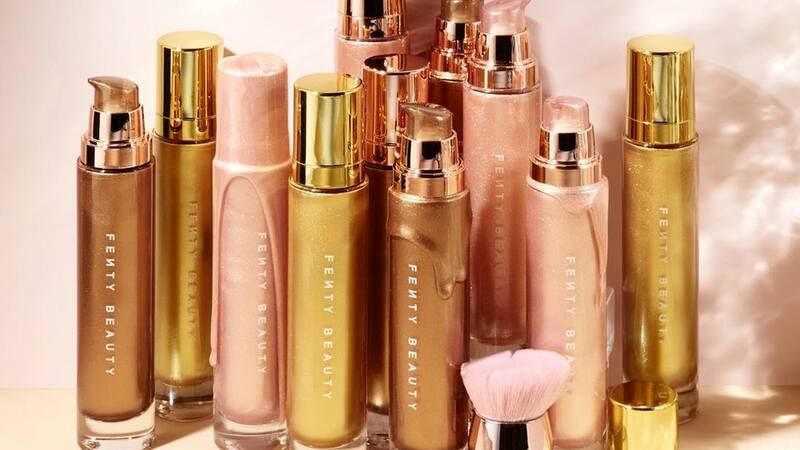 Fenty Beauty first released its ‘Body Lava’ duo last April, and the sparkling, tinted shimmers were an instant hit with fans. However, they had not been available for some time. The launch is the latest in a series of high-profile releases for Fenty Beauty, following recent new additions to its ‘Stunna’ lip paint line and ‘Killawatt’ highlighter series. Back in January the brand also unveiled its debut concealer line, a 50-shade ‘Pro Filtr Concealer’ collection designed to suit a vast variety of skin tones, continuing the train of success that the brand has seen since it was launched in 2017. Fenty Beauty updates ‘Body Lava’ for 2019 0 out of 5 based on 0 ratings. 0 user reviews.